Thundersley (St. Peter) Churchyard contains 16 Commonwealth War Graves from both the First World and Second World Wars. 4 of the graves are First World War burials. One burial is that of a Yorkshire Regiment soldier. We are extremely grateful to "oldpicruss" for providing the photo of the headstone. 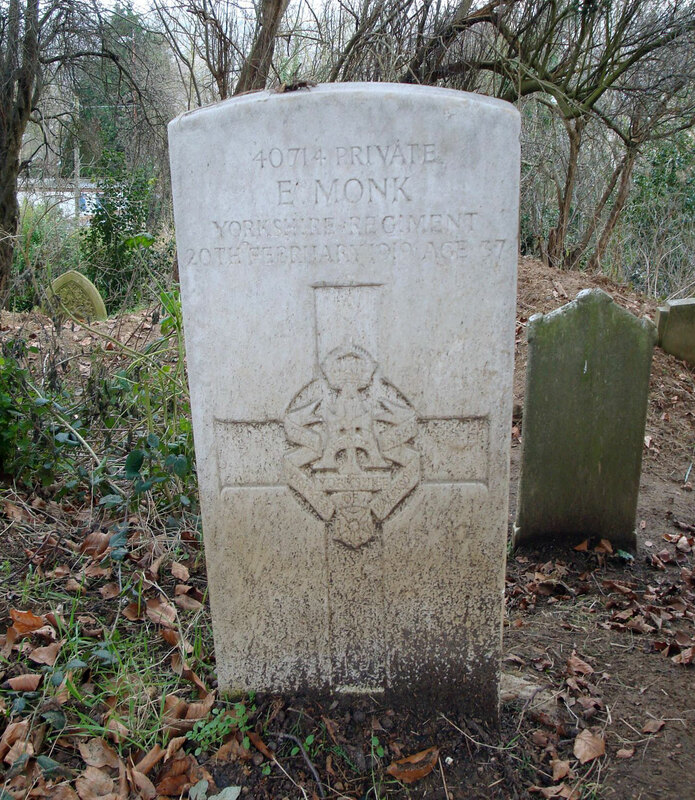 Private Ernest James Monk. 40714. 17th Battalion the Yorkshire Regiment, transferred to (427288) Labour Corps. Husband of the late Alice Monk. 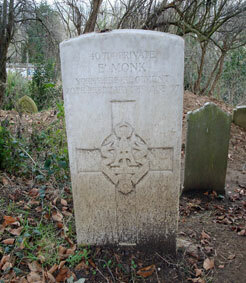 Son of Alfred & Matilda Monk. Died at home 20 February 1919. Aged 37. Photo © Copyright John Rostron and licensed for reuse under this Creative Commons Licence. 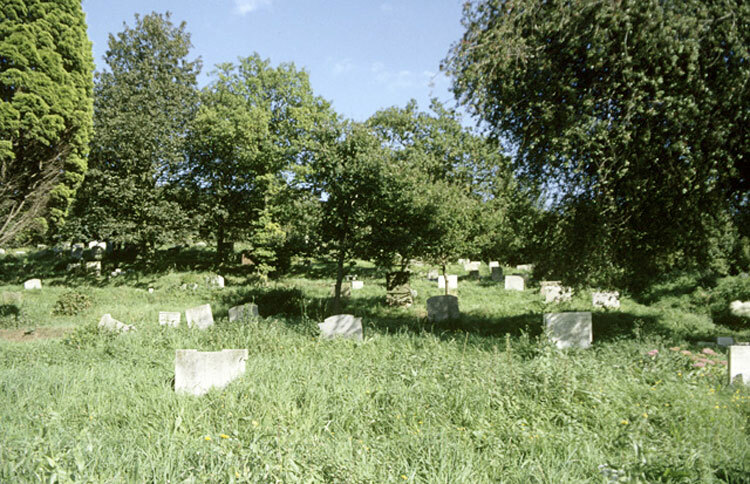 This churchyard sits on the brow of a hill, then slopes down to the West. The start of this slope can just be seen to the right of the picture. The North (here) and South ends are wooded to varying amounts.